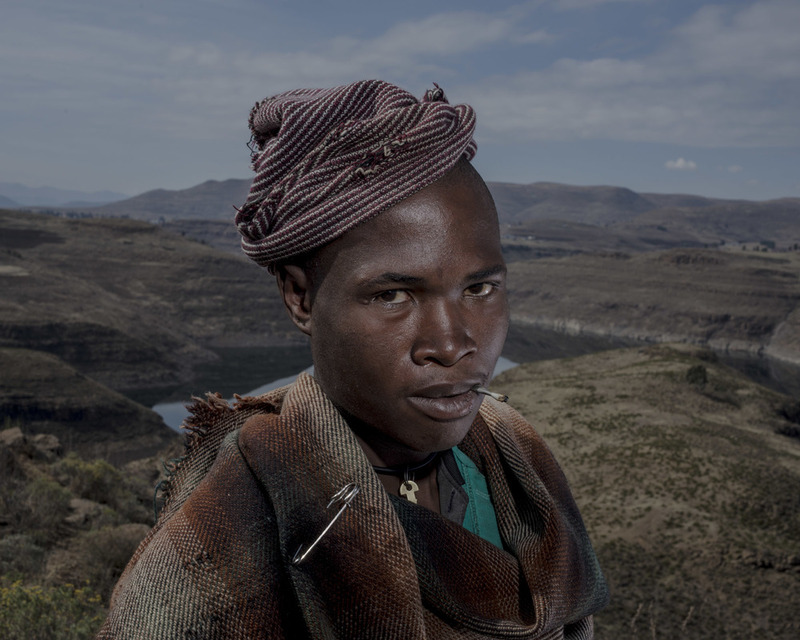 These portraits and landscapes were made between July and September 2015 on three trips to Lesotho which I undertook in order to introduce myself to the communities, meet the village leaders where I would be working, check the light, find someone to help me solve practical problems and get a sense of conditions around the dam. The work was done in the villages of Sephareng, Mokhethuoa, ha Maphoto and ha Mpeli. 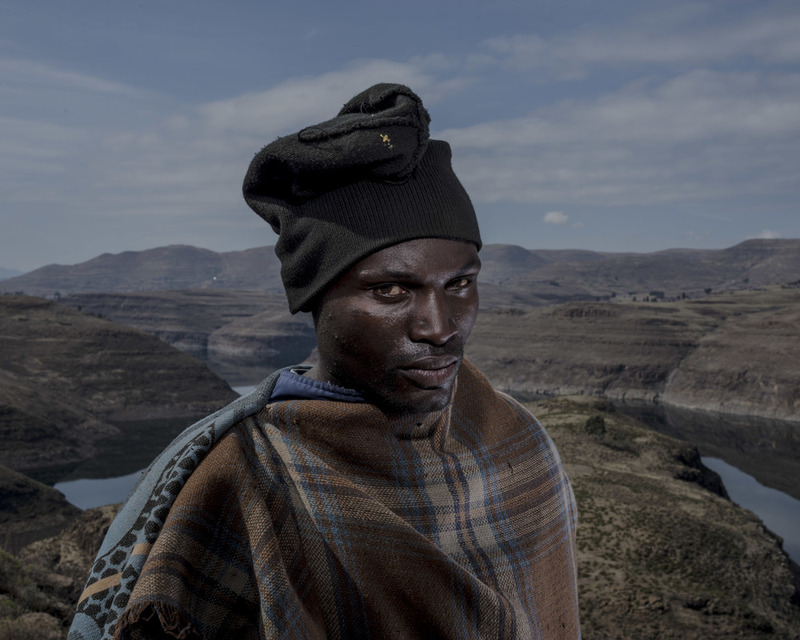 Initially I went to Lesotho to photograph the Basotho herders living alongside the Katse Dam in their traditional headgear, balaclavas. 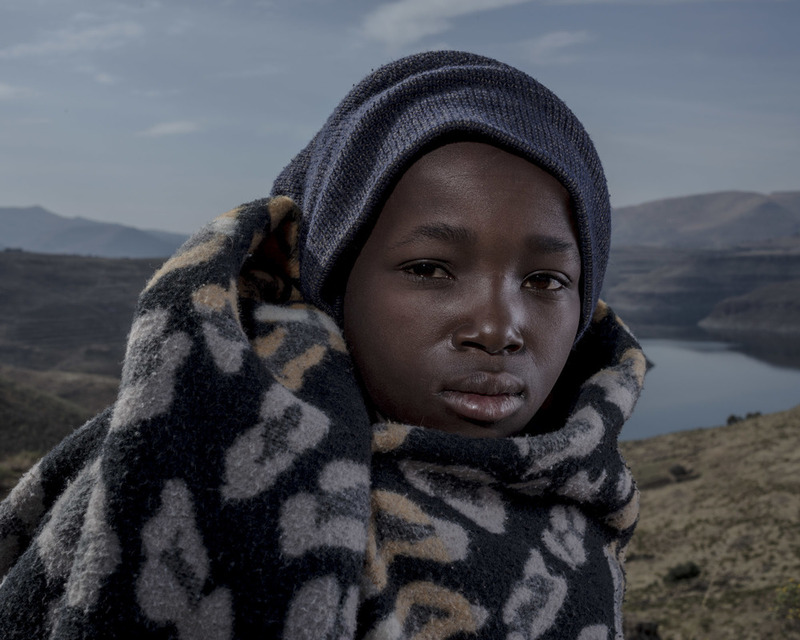 As someone who considers questions of privilege and power in relation to portraiture the conundrum of photographing subjects whose countenances are obscured by a woolen hat with only slits for eyes appealed to me. 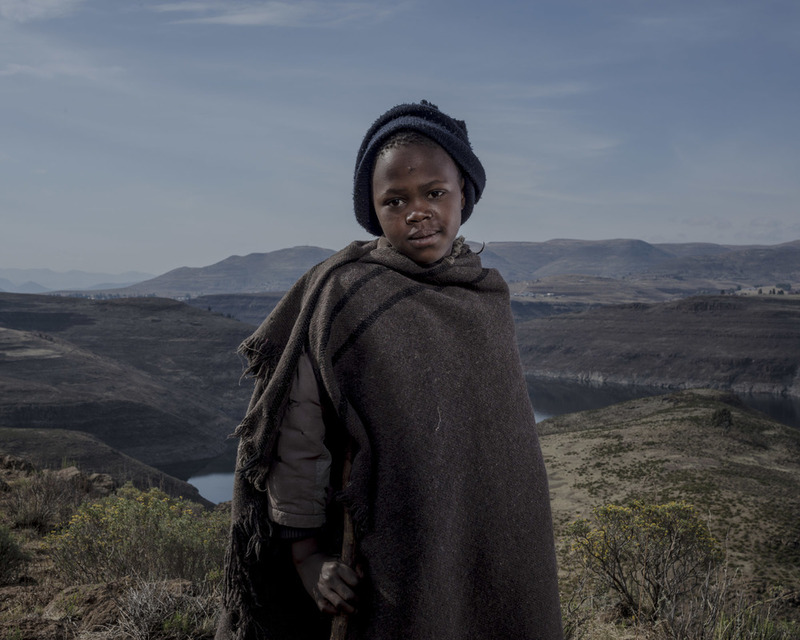 The portraits of the herders wearing their blankets are a by-product of my initial aim, but have come into their own – as equal, serene counterpoints to the implied violence and anonymity of the balaclava series. These portraits humanise the balaclava photographs. In July 2016 I returned to the regions where Phase 2 of the LHWP is taking place. I documented the area in preparation for a comparative report once that phase is complete, visited friends I have made over the years, and to see what the herders are up to. I also consulted with the chiefs and communities to agree how best to remunerate the Herders with portions of any profit I make from this project.